When I got my first copy of ATP back in March 1991 I had no idea what was to happen to this excellent program over the next few years. The March issue of a German games magazine I bought by chance (!) had a report on a new flight simulator called Airline Transport Pilot. The writer was quite fascinated by ATP and this single article was all to make me buy ATP. Firsdt of all, I was amazed by its complexity, but later on it became my only flight-sim. FS4 and all the other sims dissappeared from my HD :-)! For some time nothing happened except a few new scenerie dedicated to ATP (produced by subLOGIC) but then within a few months many new products were published and ATP saw a revival; it even became a hobby! Here I'm trying to give a history of ATP, to mention people like Stu Moment or Simon Hradecky who gave important contributions and to list all the products related to ATP (at least those I know :-) ). In a certain point of view Flight Simulator I can be considered as the precursor of ATP. It was in 1979 when Bruce Artwick, an ingenoius programmer from Champaign, IL / USA had developed a graphics system for the well known Apple II. In order to get an attractive demonstration he choose an airplane moving through a virtual space. The overwhelmig success of this demo forced him to upgrade it to a stand-alone product. Flight Simulator I was born! Those who still know MS Flight Simulator III or IV can imagine how FS I looked light: the WW I module of those sims was is taken from FS I. In the beginning of 1981 a small company from Redmond, WA became interested in an IBM version of the Flight Simulator I. Guess which company? :-) Yes, it was Microsoft, at that time a small company working on the operating system for the Commodore C64! :-) The program handed in by Bruce Artwick in autumn 1981 was ways better than the apple II version. Also the graphics seems poor nowadays, the scenery database became much larger, covering Seattle, Chicago, Los Angeles and New York. Dedicated flight equations were used and all instruments in the cockpit could be adjusted with the mouse! Published in a time were users wrote their own programs instead of buying new ones, Micrsoft Flight Simulator II was like a small revolution. The following years saw FS II versions for computers like Apple II, C 64 or the Atari and a number of first generation scenery disks (SD-1 - SD-6 and SD-EUR). But FS II had limitations and at some point no update was possible anymore. It was the time for a new version. It's quite amusing that FS3 was first programmed for the Commodore Amiga and the Atari ST. These computers were quite superior to the IBM PC with respect to graphics and speed. Already in 1986 FS3 was available to users of those machines. And again many improvements were implemented: external views, improved aerodynamical calculations and a menu system were only a view of the new features. Only one year work began on the IBM version of FS3. 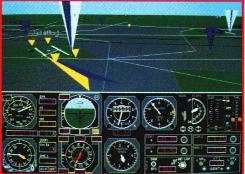 In the meantime, 286 machines with EGA graphics were available, an ideal basis for a new flight simulator. 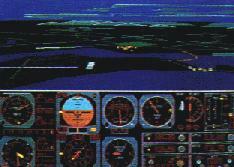 Then finally in 1988 Microsoft Flightsimulator III was presented. Although a much improved version compared to subLOGIC's FS II, there were parts that reminded rather on a game than a simulation. Also there were mistereous errors and faults eg in the flight model. Some of you may remember that the FS III Cessna raised the nose in a turn instead of lowering it! The great moment came in late 1990 when subLOGIC published ATP. After loosing their most famous product to Microsoft they began working on future flight simulation products. Initially they intended to use code of Flight Simulator III which was developed by subLOGIC engineers in 1987 and 1988. Unfortunately the program code was copyrighted by Microsoft; and Microsoft prevented them from releasing their new 'Flight Simulator: ATP' in Juli 1990. Although the lawyers of subLOGIC had good arguments in favour of the company, the court hearing was only scheduled for 1991. But subLOGIC was running out of money! Finally they had an agreement with Microsoft; they had to give up the 'Flight Simulator' Trademark, call themselves 'The Computer Flight People' instead of 'The Flight Simulator people' and change the name of ATP to 'Flight Assignment: ATP'. It made no difference for the user and everybody seemed to be happy. :-) Finally ATP was published in winter 1990. The most remarkable feature is probably the Air Traffic Control. Although a first generation ATC with (lots :-) ) of flaws and limitations, anything similar was never seen before in (low cost) flight simulation. Roger (as the ATC officer was named by its programmers :-) ) gives you radar vectors after to avoid other traffic :-), gives you weather information and vectors you to final when approaching your destination. Jack, the autopilot, is even able to fly the airplane according to Roger's instruction. The autopilot was another improved feature. While the FS 3/4 autopilot was quite poor and definitely inappropiate for the ASD B747-400, ATP offered an excellent autopilot (also again not bug-free) with many functions. Altogether I can be said that subLOGIC has developed a remarkable product which outscored its competitor - MS Flightsimulator IV - in many ways, but still had limitations. One of the limitations was for example the limited area available. While FS4 (and especially FS5 and FS6 later on) pilots had sceneries from all over the world, ATP was limited to the 'relatively small' ( :-) ) area of the contigous US. Thus very soon after the release of ATP, subLOGIC presented a new 'scenery collection' of Great Britain and Ireland (first announced in their Fall 1991 newsletter). Since previous scenery disks almost reached the maximum allowable size for a scenery file, subLOGIC introduced the concept of a scenery collection putting in as much detail as desired and splitting the scenery into several auto-loadable files. (However one year later, Mallard introduced high density scenerie - eg Hawai - for FS4. They contained even more detail in only file put were not compatible with ATP.) GB contained asthonishing details like the Dover white cliffs or London's downtown. Many airports were precisely rendered with taxiways and ILS IAPs. The landscape was filled with castles, cathedrals, cargo ships and sailboats. And at places where few details were visible, one could switch over to IFR - alomost all British navaids could be found in the database. According to an article at www.flightsim.com, Simon got outraged when his ATP scores didn't meet his expectations. He went into ATP and fixed the problem, leading to his first patch prgram. The experience he gained helped him creating ATPUTIL V1.0. Initially thought as test for a new product of his company - NOMISSOFT , it soon became very popular after he uploaded it to Compuserve. Very soon afterwards, the power of ATPUTIL was demonstrated by ATPUK, a small file that used ATPUTIL to make the Great Britain scenery accessible for career flight assignments. According to the author, 'ATPUTIL is the best thing that happened to ATP since adlib.snd'. [the Adlib sound driver missing in the original version] And indeed, after the complex and long procedure of getting into ATPUTIL, the user was able to change almost every detail on the career flights or the ATC system, to edit the logbook or to create flight plans complete with a fuel calculation. Later versions included scenery editors, message editors, new drivers and much more stuff. (Looking back, reviewers were slightly disappointed that FS4's ASD-Designer sceneries were not usable with ATP.) Thanks to Enrico Schiratti even a FS4-scenery converted was included! By now ATP became popular. It should be noted that the first virtual airline - SUNAIR Express, founded by Jim swanson in 1992 - used and still uses ATP. In late 1992 subLOGIC started distributing the 'blue box' version of ATP (ATP Rev. D). They did mainly minor updates in the code; the differences noticeable for the user consisted mainly of a new HSI and the Soundblaster support (and more HD space :-) resulting in digitized ATC voices. Not compareable to FS4 and AAF, but yet remarkable. But obviously subLOGIC considered the scenery disks to give more revenue than their flight simulation programs. At that time their programmers were working hard on the completition of the USA scenery disks 'East' and 'West'. The goal was quite straightforward: all navaids and all airports should be incorporated in a nice visual database. As mentioned above, IPS was the database for the navaids and airports. USA East/West were - according to subLOGIC - 'supersets of IPS with greatly enhanced visuals'. However, it was even more when it finally was published in mid-1993 (for East, West was to follow a few months later). The metropolitan areas like New York, Chicago or Los Angeles featured hundreds of buildings and became glowing seas of lights in the night. Many airports had complete taxiways. Even the rural areas were filled with highways, rivers, water towers etc. After USA West was released, almost nothing happened around ATP. 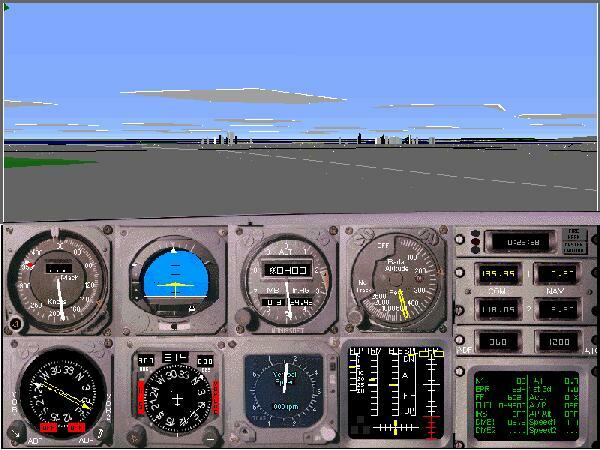 In the meantime BAO and Microsoft had written Flightsimulator 5 with stunning graphics. Very quickly FS5 became a new standard. ATP seemed to fall behind FS5. But the surprise came during the Microwings Conference in April 1994 in Dallas, TX. Simon Hradecky and Andreas Störzer announced a presentation of ATPUTIL and finally showed an amazing graphics upgrade for ATP. Simon required a 3D CAD graphics software for his company and he choose ATP as a test object. The result was 3DAGS. (Do you remember Bruce Artwick writing Flightsimulator I as a test project for his graphics software? Funny how history sometimes repeats... :-) ). 3DAGS consists of much improved graphics drivers and three new panels. 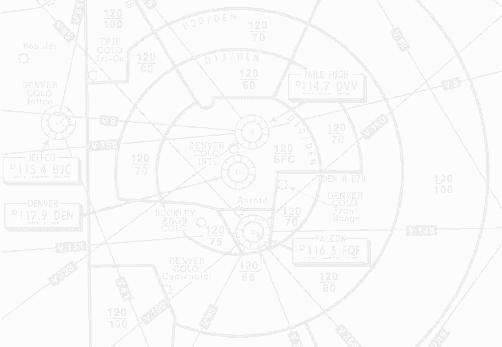 The B737/B747 panel look like a typical Boeing cockpit with digitized gauges. But unlike other programs 3DAGS shows a very realistic behaviour of the needles in the instruments. Running in 800x600 mode with 256 colours on most graphic cards 3DAGS also improves the readability. The Shorts 360 panel is another very good panel - a mixture between graphics and photorealistic gauges. However, Simon's masterpiece is the panel of the Airbus A320 (also used by the B767). The primary flight display (with artifical horizon, altitude and airspeed indicator etc) looks *exactly* like the original one. The navigation display shows VORs, NDBs, airports and waypoints as well as the route you're going to fly; all you to do is to enter it in the fully functional FMC (flight management computer). You can do anything with this beautiful equipment, from operating your NAV radios, calculating V speeds up to entering your route. Another spectacular effect is the cockpit view. Although still the familiar polygons are used for the scenery, 256 colors are now available. This gives impressive effects when flying through clouds or fog or approaching sunrise. The most amazing effect of 3DAGS is definitely the 3D option. After pressing a key your screen truns into red and green and using special glasses you will see three-dimensiona landscape! ...was the headline of an article on two new ATP sceneries. 3DAGS was a renaissance for ATP and for companies it obviously again paid off to produce new products for ATP. One early product came from Italy; LAGO produced a new scenery of Italy. The other came from flylogic and featured an extremly detailed rendition of Switzerland. Although different products by different companies they have remarkably common features. Both are based on earlier sceneries for FS4 and ASD - to you remember? (Although for a long time out of business FS4 is still useful for us ATP pilots.) Stefano Figoni and Umberto Caolpicchioni have created and FS4 scenery for Italy while Urs Wildermuth did the FS4 scenery for Switzerland. Together with Simon Hradecky both sceneries were converted to ATP. This oppurtunity was used to introduce a new coordinate system. The coordinate system introduced by subLOGIC for GB proved not sufficent enough to cover whole Europe. Therefore a new [coordinate] 'system5' was introduced. Both sceneries were converted to that system and - as a result - fit exactly at their borders. This system however was not compatible with GB scenery which used a geograhic projection optimized only for Great Britain but not for the rest of the world. Both sceneries were shipped with new career flights in these sceneries and came with maps - but these could not beat the maps printed by subLOGIC. Unique to Scenery Italy were the visual aids that originally were used in the USA sceneries. A nice example of these patterns can be seen in the picture [which was used by LAGO for advertising]. Again both sceneries supported the SMS system. Another new scenery appeared in summer 1996. Aerosoft came up with a scenery covering whole Germany with detailed renditions of all major airports and lots of IFR coverage. Again the scenery was based on FS4 scenery: in the early 1990's Professor Sunderman began his work on ASD sceneries each covering a small part of Germany. Compared to other products they were exceptionally good and were an ideal basis for an ATP scenery. Stefan Geissler and Bodo Mü finally did the task of converting half a dozens of files to ATP. Unfortunately their work was almost finished when they bacame aware of coordinate system 5. The decision was to publish 'Germany' in system 2 - although it seemed to be outdated soon. But there was even more scenery to come! Peter Leadbeater started creating detailed scenery files based on the coordinate system of GB. Personally I would say this is the best scenery I've ever seen! Although still based on polygone technique this scenery seems to be alive. Airports feature detailed marking, turn into a sea of light in the night and even planes can be found in that scenery. As a result the amount of scenery which is now available for system 2 equals the number of sceneries for sytem 5. The future seemed to start when LAGO published Airline Simulator in November 1996. Shortly before subLOGIC had been taken over by Sierra LAGO acquired the rights on ATP. Since then LAGO was working on a rerelease of ATP which finally took place on Nov 27th 1996. The ATP community was waiting for 'Airline Simulator' a long time and expectations were quite high. LAGO promised a new B747-400 with a new (3DAGS-based) cockpit, scenery for transatlantic flights and a new European Scenery. Lots of work went into the new interactive manual which should give flight lessons and serves for printing approach charts.